A limousine joyride goes berserk in the breathless, pulse-pounding thriller Submerged. This anxiety-inducing film makes its Blu-ray and DVD debut May 3, 2016, from Scream Factory, in conjunction with IFC Midnight. In Submerged, Jonathan Bennett (Mean Girls) stars as an ex-soldier turned bodyguard hired to protect a young woman. But while cruising with a group of friends one night, their stretch limo is run off the road and into the water by a gang of ruthless kidnappers--who then dive in to finish the job. Suddenly it’s sink or swim, as the bodyguard must fight to keep the vehicle from becoming a watery grave. This edge-of-your-seat thriller, directed by Steven C. Miller (Silent Night, Under the Bed), also stars Cody Christian (TV’s "Teen Wolf"), Talulah Riley (Thor: The Dark World), Rosa Salazar (Maze Runner: The Scorch Trials), Tim Daly (Diner), and Mario Van Peebles (New Jack City). 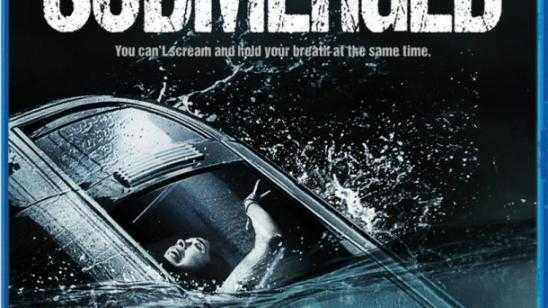 Official Synopsis: A young woman and her friends, who've been targeted by kidnappers, must do everything they can to survive after their limo is forced off the road and plunged into a canal.